I mentioned on Friday that the Oscars are kind of a big deal at our house. At least they have been. I'm not so sure about this year, as I've yet to see a single one of the nominees for Best Picture, despite having a couple of them cued up on my iPad. Last year at this time I was half way through, with most of the Best Actor and Best Actress performances on deck. The year before that I even got through the Best Supporting Actor and Actress movies. This year I'm thinking that I might have to make my Oscar pool picks based on the trailers. Or the posters. What I'll probably do though, is go back to the system I used the one year I won my fantasy football league and let Lori pick based on how cute the choices are. So Lori, Best Actor...Who's it going to be...George Clooney or Brad Pitt? Do you really care what they wear? I know for some people the awards end as soon as the red carpet finishes. Personally, I really couldn't care less what the celebrities wear to the event, but I'm pretty sure their goal isn't to impress me. I can't imagine the pressure that the stars must be under to look their best when you have to walk a red carpet in front of people who actually care about fashion. Guys seem to have it fairly easy, as long as they don't get too ambitious, but the ladies must lose a lot of sleep trying to decide what to wear that will at least get them a passing grade from the fashion police. I can understand why some of them just snap and say "Screw it, just wrap me up in a swan and I'll deal with the outcome." Do you watch the red carpet? What's your biggest Oscar disappointment? 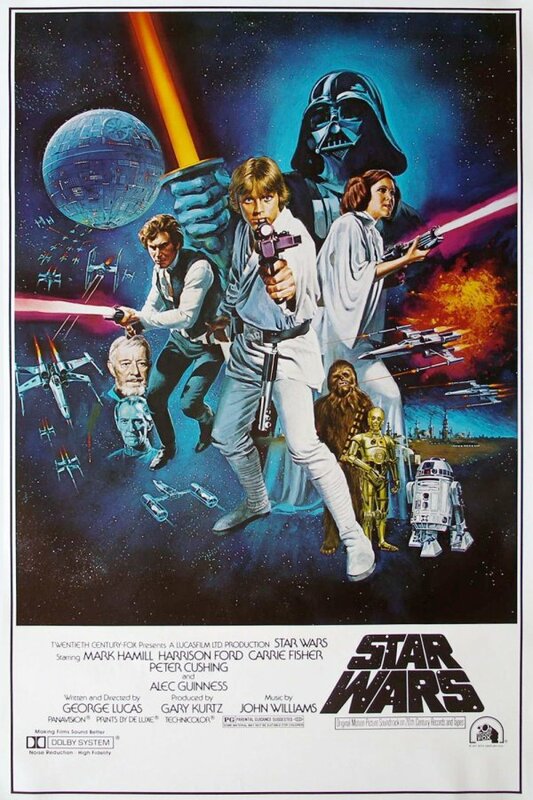 The very first time the Oscars ever captured my attention was in 1978 when Star Wars was up for Best Picture. Since everybody knew that Star Wars was going to win everything it was nominated for (and perhaps a few it wasn't), I begged my parents to let me stay up and count the awards as they came in. I half expected the Academy to declare the Oscars finished at the end of the telecast, as there was no point continuing since the greatest movie possible had already been made. I had no idea who this "Annie Hall" was, but my shock and disappointment at the moment Star Wars didn't win Best Picture is one of the clearest memories of my youth. I didn't watch the Oscars again for ten years, and then just as I got re-interested in them, I looked back and noticed that the same year Star Wars lost, so did John Travolta for Saturday Night Fever. That cost the Oscars another five years, but eventually I came back. I still won't watch Woody Allen movies though. Have you ever been completely disgusted with an Oscar winner? Is there an Oscar category you don't understand? If you ever stay for the credits at the end of a movie, you'll see this long list of names that played a part in getting the film made. The job that always catches my attention is "Key Grip". I have no idea what a Key Grip does. I'm guessing he holds something (and if it's keys I'll feel really stupid) but I've never seen it explained anywhere, and to be honest I'm too lazy to Google it. Fortunately there's no "Best Key Grip" category, but there's a couple of awards that I'm not too sure what they're about. For instance, I have no idea what criteria you'd need to meet to be nominated for Best Art Direction. When I hear "art", I picture somebody with scissors and glue trying to make a collage. I assume that there's something more to the category than that, because if there isn't, I have an awesome Grade 6 desert diorama that I'll be submitting for consideration next year. Hopefully I'll be up against a Woody Allen movie and I can get some revenge! Did your all-time favorite movie win for Best Picture? To be honest, I didn't know the answer to this one. I know my favorite movie - Casablanca - but I had no idea what year it came out, never mind whether or not it won the Best Picture Oscar. Turns out that it did, and it also won Best Director and Best Screenplay. Now I'm not saying that there's a connection here, but did anybody else notice that five months after Casablanca won for Best Picture, Paris was liberated from the Nazi army? Coincidence? Could be I suppose, but I prefer to wonder if it would have been even quicker had Humphrey Bogart not lost the Best Actor award. Just something to think about for all the people who voted for Paul Lukas. Is your all-time favorite movie responsible for the freedom of a nation? How did only two songs get nominated for Best Original Song? This one I wasn't too lazy to Google, and it turns out that every song gets rated on a scale of 6-10 (Why we couldn't just use 1-5 I don't know) and a song has to average at least a 8.25 to be nominated. I like both of the two songs that got nominated, but when you're turning down songs by people like Elton John, Pink, Brad Paisley and will.i.am then you might be judging just a little hard. On the other hand, I'm sensing an opportunity here. 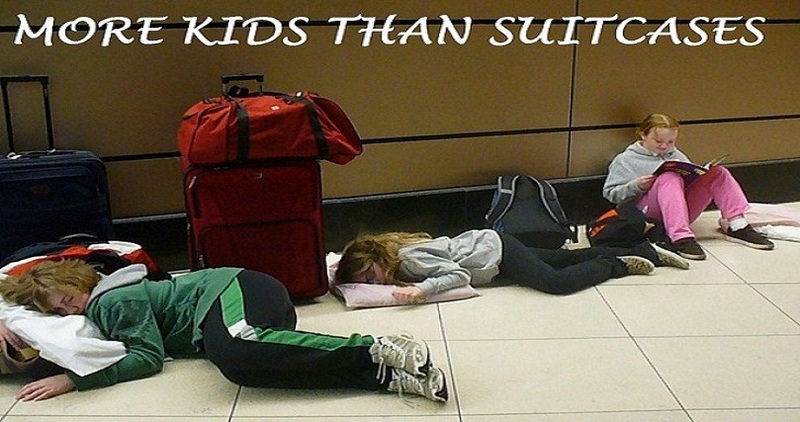 If any of you want to submit a "More Kids Than Suitcases" theme song, I'm sure we can work it into the blockbuster movie that Hollywood will inevitably want to make about my family. Just try and make sure to use the line "He can't skate, he can't ski. How he's still married is a mystery..."
You wouldn't leave Brad Paisley out of the Best Original Song category would you?